Also known as HyperText Markup Language, HTML is the base language that is used for presenting content on the World Wide Web. Its main purpose is to support the latest multimedia components, while keeping the underlying code easy to read, for both computers and humans. The 5th version (HTML5) was declared a complete standard by the World Wide Web Consortium in October 2014. 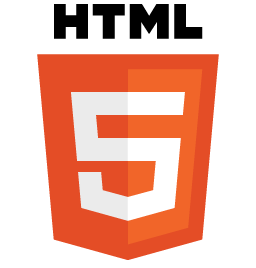 HTML5 was designed to replace not only HTML4, but also XHTML1 and DOM Level 2 HTML. The language can be used for complex web applications, due to its APIs integrations and detailed processing models. HTML5 is one of the main reasons (alongside Steve Jobs :)) for why Adobe Flash player is dead - because HTML5's supports multimedia and graphical content, the user is no longer required to have the Flash player installed in order to view videos on the web. HTML5 supports advanced features such as: GPS, camera and accelerometer. These features help the user to develop applications for a wide variety of devices, such as smartphones, wearables etc. Get in touch with us for your HTML5 development needs!